Automated state-of-the-art electro-static lines and robotic powder applicators ensuring repeatable quality. 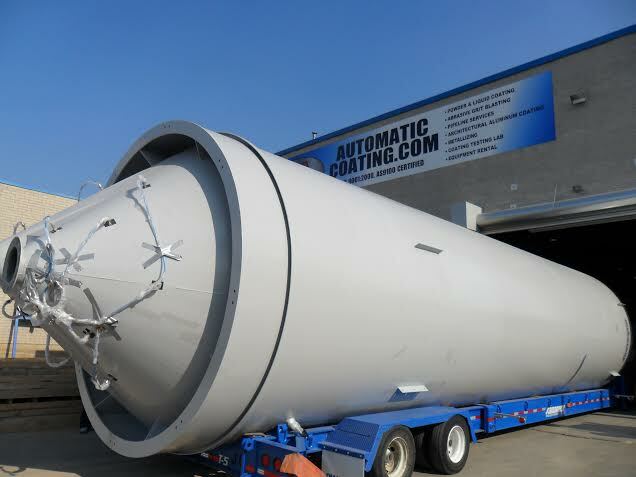 Automatic Coating Limited (ACL) is recognized world wide as having one of the most technologically advanced powder and liquid coating facilities in North America specializing in the application of high performance liquids and powder coating. 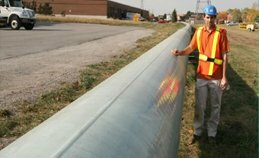 ACL has some of the most diverse types of application equipment in the industry including, our state of the art electrostatic lines handling pieces 5’ x 7’ x 40’ long. 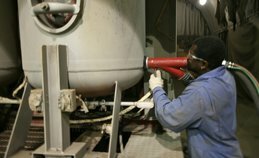 Where most facilities simply have an employee operating the spray guns, Automatic Coating Limited has automated state-of-the-art electro-static lines and robotic powder applicators ensuring repeatable quality. ACL is unique in the industry in their ability to handle large parts consistently giving a quality finish. ACL is among only a couple of coaters in North America with large capacity automated fluid bed systems. ACL’s Automated Fluid bed’s can handle very small to very large parts, uniformly coating areas impossible to reach by conventional methods. The fluid bed process is a repeatable, efficient process. Our automated fluid beds handle pieces up to 30’ with a line capacity of up to 10 tons. If required, the 8’x9’x24’ dimensions can be expanded. 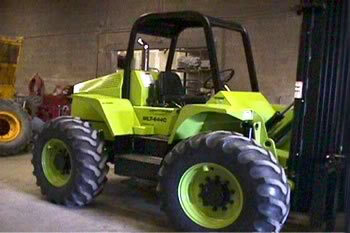 This customization allows ACL to excel in the industry in terms of flexible customer applications. 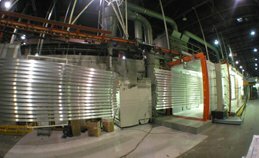 Automatic Coating Limited offers superior steel pretreatment systems utilizing a seven stage Zinc-phosphate wash with a reverse osmosis rinse. 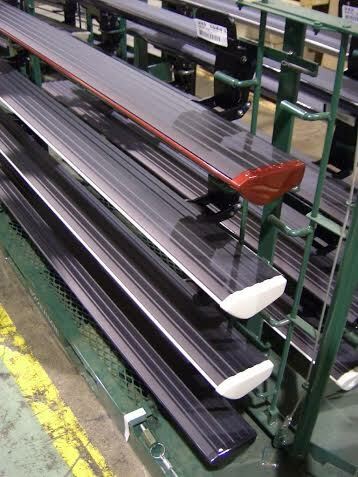 ACL has a separate line for architectural aluminum. This pretreatment system utilizes a 6 stage system meeting AMMA 2605 approved for 20 year warranty high performance exterior coatings. 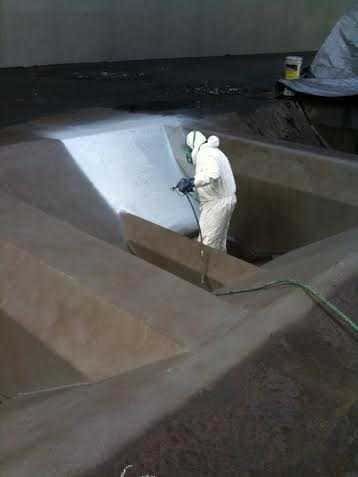 These pretreatment systems form the foundation of the coating. 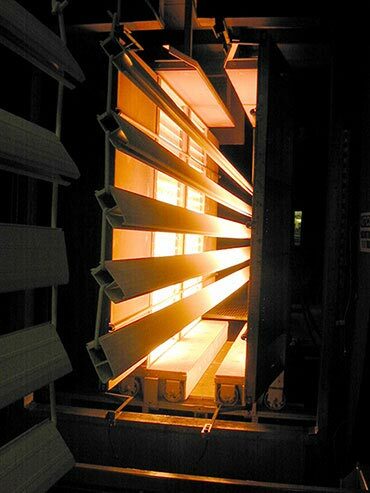 Essential to the coating system is the cleaning, converting and rinsing of the substrate. 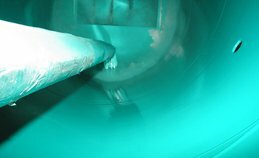 These state of the art systems are essential for paint adhesion and corrosion resistance in order to greatly extend the life of your product. 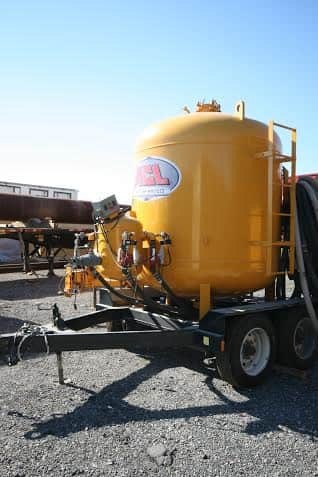 For high performance corrosion resistant coatings on Steel, ACL utilizes eight different grit blasting Wheelabrators handling all sizes up to eighty feet long. 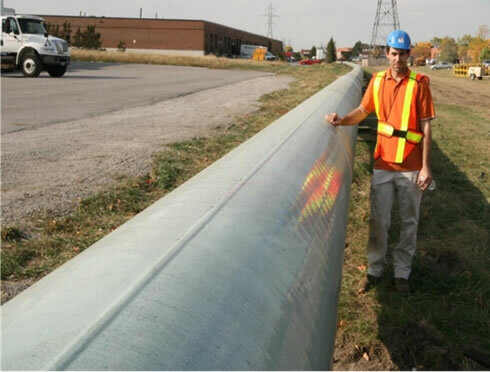 ACL has achieved international recognition as a quality coating facility, and has earned a reputation as an expert in metal protection and finishing field solutions. 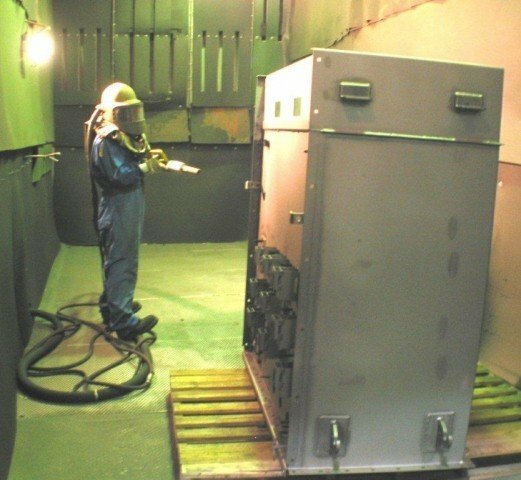 ACL has designed equipment to coat large & small intricate parts enabling them to withstand severe environments. 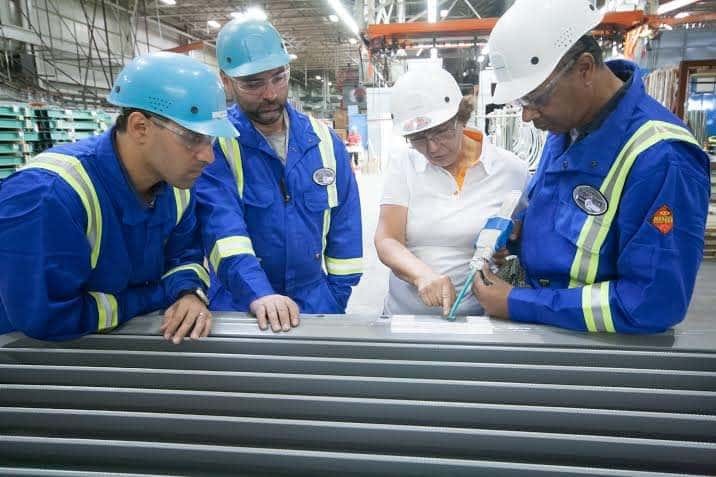 Our technical sales personnel have extensive experience in product evaluation and applications and are at your disposal to help select the best material and process for your particular application. They will advise you on product design tips which will help ensure complete protection, long lasting appearance and your satisfaction. 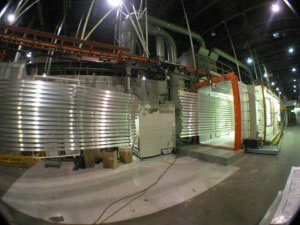 Automatic Coating Limited has developed and patented the Tidal Coat system, an extremely durable, multi-layer fusion bonded, process that gives unparalleled service life ultimately saving millions of dollars in repair costs for their customers. 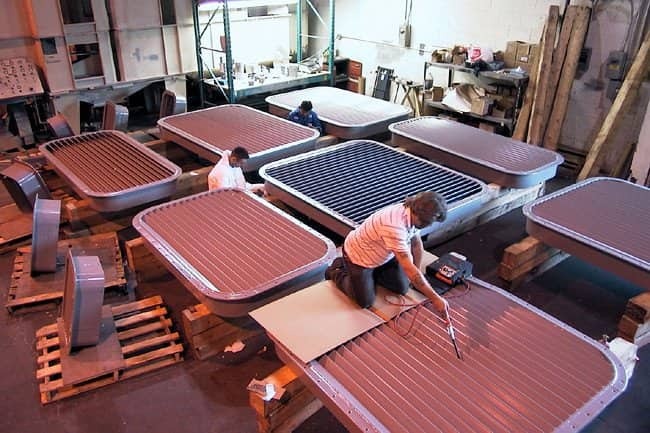 This tidal coat system is widely deployed by the US Navy with ACL coating Ten’s of thousands of super structure and submersible components for the defense industry. To ensure customer satisfaction, ACL has an extensive Quality Assurance Department with one of the most extensive testing labs in the business with experienced, well trained technicians. 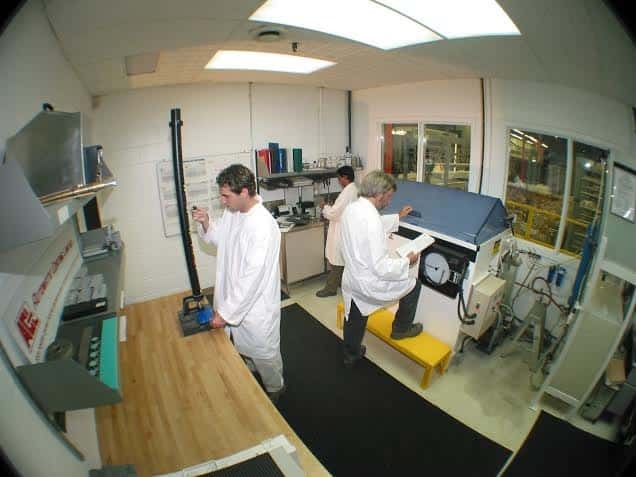 Performance tests are conducted throughout each project to ensure quality coatings as well as the accurate specifications of your product to ensure you are delighted with your finished product. Our friendly and efficient Customer Service Department is always available to assist you with any details. 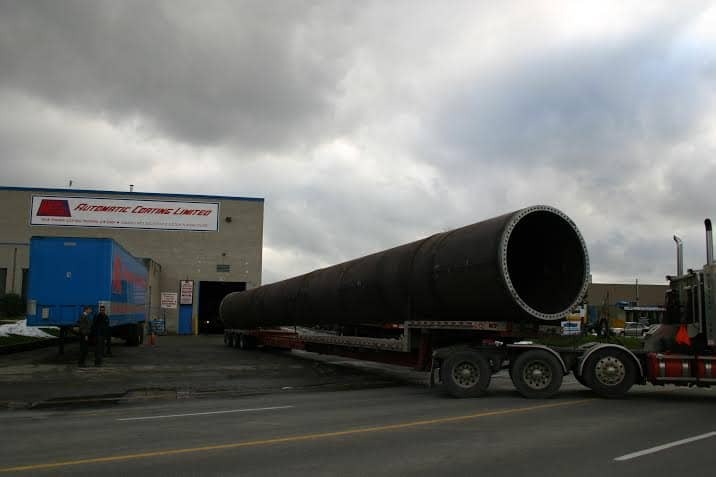 ACL’s eight 48 foot trailers, two tractors and one 24 foot five ton curtain side truck ensure that your product is delivered on time. 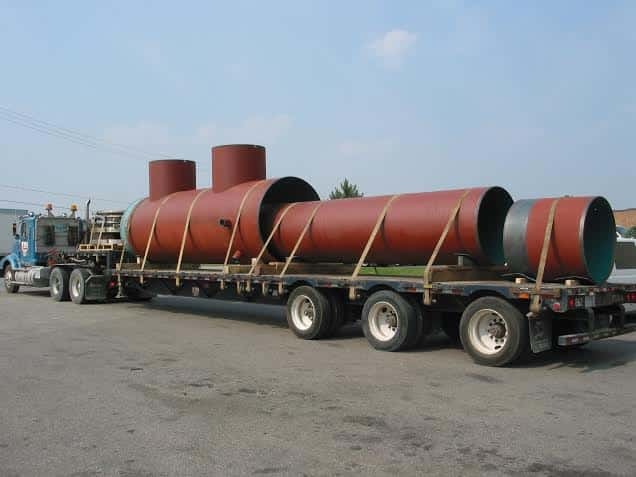 ACL has a proven track record with loyal customers in the F.B.E, utility, pipeline, Naval, architectural aluminum and decorative industries for over 30 years. ACL is unique in its delivery and execution and holds patents for fusion bond technologies. 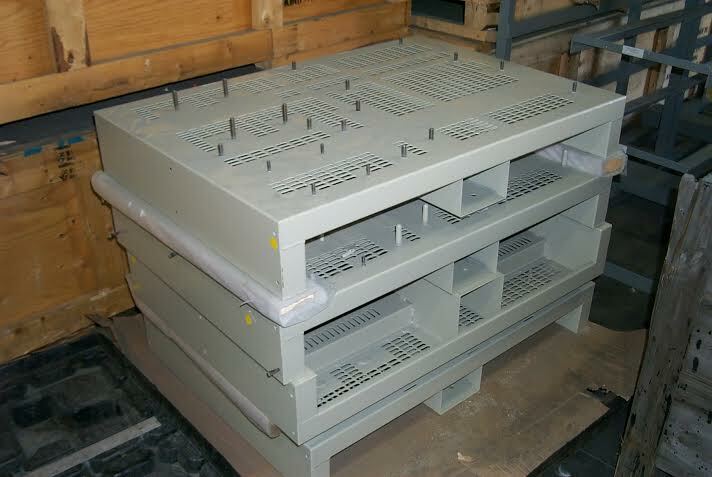 ACL is a one stop shop for all your powder coating needs and is viewed as the bench mark for powder. 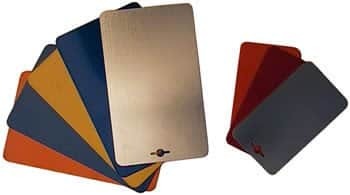 With an unrivaled pretreatment system, state-of-the-art powder coating techniques, complete testing facilities, and an extensive network of distribution, Automatic Coating Limited is a one stop shop for all your powder and high performance liquid coating needs, and is viewed as the benchmark for performance coating in North America and Worldwide.